Home > Shop > Black color onyx stone smoking weed pipe. Black color onyx stone smoking weed pipe. New handmade BLACK color onyx stone smoking weed pipe 3.5" long. with free pipe screens and free shipping only US. Amazing black color natural onyx stone smoking pipes for the happy pipes smokers here and around the world. 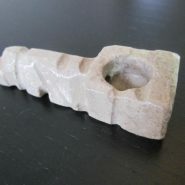 build for the hippie pipes smoker also when smoking it you can feel the goodness of nature right next to you. buy smoking pipe now and i will show you the way to happiness.